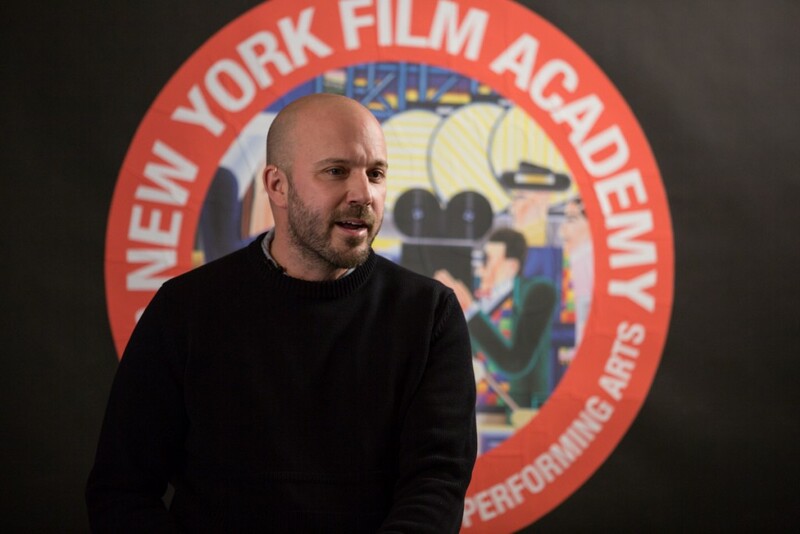 On February 17, the fashion and celebrity photographer, and NYFA Alumnus, Carter Smith, provided the New York Film Academy Photography Department’s latest guest lecture at NYFA’s New York Campus at 17 Battery Place. Carter is an award-winning film director and fashion photographer who has been working in the industry for over 15 years. His fashion images have appeared in magazines all over the world, including Vogue, GQ, Elle, W, i-D, Allure, Visionaire and The New York Times Magazine. He has worked with commercial clients such as Vera Wang, Louis Vuitton, Tommy Hilfiger, Lancôme, DKNY, Lacoste, Banana Republic, and Hermes – often shooting both stills and directing commercials. Smith’s first short film “BUGCRUSH,” adapted from a short story by Scott Treleaven, won the Grand Jury Prize in Short Filmmaking at the 2006 Sundance Film Festival. In 2008, “BUGCRUSH” caught the attention of Steven Spielberg, who handpicked Smith to direct the feature film “The Ruins” for DreamWorks Entertainment. In addition to the film’s commercial success, “The Ruins” received critical acclaim and was chosen as one of Stephen King’s top ten movies of the year. 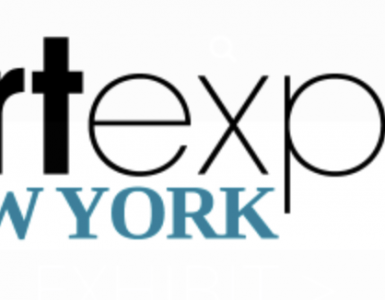 Carter walked NYFA photography students through his childhood in Maine and his early interest in fashion and photography. 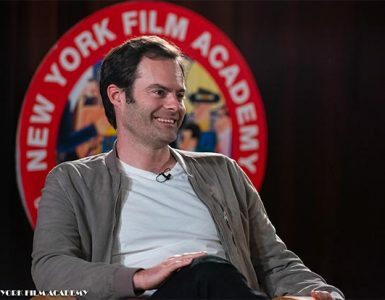 He spoke passionately about his early career decisions, including his reasons for choosing attending NYFA over New York University and the Fashion Institute of Technology, so that he could obtain a hands-on education. He talked about the importance of learning how to instantly build a rapport with your subjects, and the need to network all the time and maintain those relationships. Students walked away with a great message from Carter; never stop working, testing, and exploring your own vision. 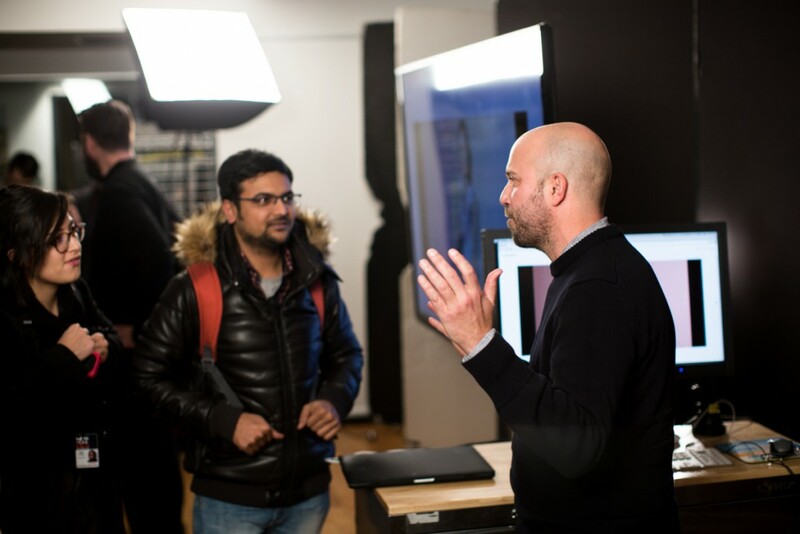 “Show the work you love to create, and it will find a niche,” Carter told the NYFA students.